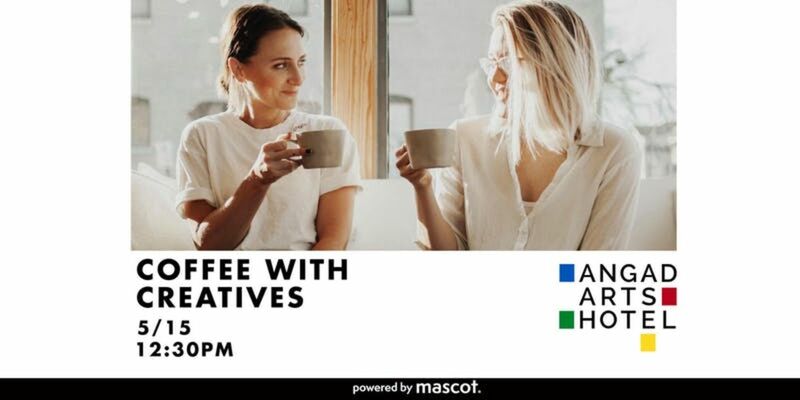 Coffee With Creatives is a reoccurring series of speakers, hosting discussions loaded with career scaling insights and expertise. At Coffee with Creatives, we are trying to understand the ‘how, why, and when’ of creativity and innovation. Speakers are encouraged to share their own personal story on their struggle, success, strategy, and failure...a transparent and inspiring discussion about the journey of creative entrepreneurship. An informal and intimate weekly meet-up style group of artists, creators, makers, innovators ------- roundtable-style discussions themed around collaboration, building relationships, and sharing. Wednesday, May 15th, 12:30-2: 30 pm. Re: Brand HQ is a creative studio inspiring womxn to do the damn thing and make brand *magic*. Co-founders Alyssa Pearson and Ashley Murry have a combined 12 years of experience in graphic design and brand strategy. Part creative studio, part resource and inspiration destination for creative badasses looking to launch a biz and kill it online, we’re Re: Brand HQ (known by our friends as rbhq). We specialize in branding, digital strategy, and launching. But that’s our LinkedIn bio. What we really do is encourage you to *choose* yourself—to say hell yes to your passions, big ideas, and the life you actually want to live. The world needs more womxn saying yes to their dreams—our mission is to make that happen.